In part 1 of “What Every Oil Painter Needs to Know About Artist Oils” we looked at the ingredients that go into oil paint and the various lightfastness ratings. In this continuing article we’ll take closer look at the different grades of oil paint and what they mean. Oil paint comes in two grades: artist grade and student grade. The main difference between the two types is the potency or concentration of the pigment that is in the paint. What this means is, artist grade oil paint will stretch further than student grade will because it contains more pigment. 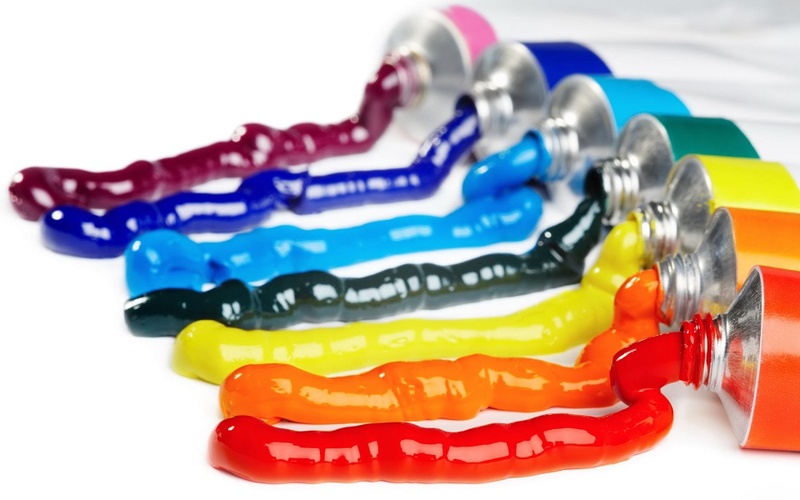 Artist grade paints (sometimes called professional paints) are made from the purist ingredients and contain a higher ratio of pigment to oil base. That ratio can be as high as 75% pigment to 25% oil base for some colors. This usually makes them more expensive to purchase than student paints. However, it also means artist grade paints will be more economical in the long run as they can be stretched further than student grade. Also, artist paints have better mixability and truer color because there are no fillers like there are in student grade paints. Student grade colors are often called “hues” on the label. The word “hue” means imitation or fake. This means that the pigment is artificial and not a true pigment. For example: Cadmium Red Hue is an imitation version of the true pigment known as Cadmium Red. Student grade paints were created to reduce the cost or toxicity of true pigments. They have different mixability and opacity characteristics than do true pigments and they tend to get muddy and dull when mixed together. Student grade of paint is cheaper because of the ingredients – they contain less pigment and more filler. Filler costs much less than the purer, concentrated ingredients in artist grade paints. However just because the paint is priced cheaper, does not mean it is more economical. When mixing color with student grade paint you will need much more paint to get the final color you are trying to mix because the strength of the pigment is weaker (less potent) in student grade paint and will actually take more paint to mix the color you desire than if you used the stronger (more potent) artist grade. In addition, student grade oil paints come in fewer colors than artist grade oil paints. Whenever possible, it’s best to purchase artist quality paint rather than student because you get more pigment in a tube and the results from color mixing are more intense and brighter. In addition, if you mix student grade with artist grade, you risk reducing the quality of the better grade paint, rather than improving the quality of the lesser grade. If you need to save money, consider painting on smaller canvases or using the lesser grade paints as the under-painting saving the finer quality paints for the upper layers. 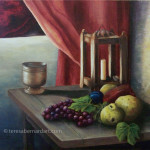 Knowing which oil paint is best suited for your particular needs will save you time and money in the long run. Do a little research on your own, compare labels and prices. Look at some consumer reports and reviews written by other artists. You should be able to find the type that suits you best. 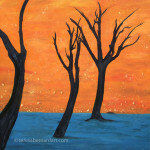 I hope this article takes some of the mystery out of which oil paints to use for your paintings. Being more familiar with the materials you work with will make you a better artist. For more information on the subject of artist grade vs. student grade oil paint see article titled “Artist Grade or Student Grade Oil Paint, Making a Choice“. There is such a wide selection of oil paint brands available it’s hard to know where to begin. Hopefully when you finish reading this article you will have a little better idea of what oil paint is and which one to use. 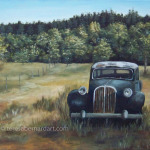 Oil paints are made up of pigment that has been ground into an oil base, called the vehicle or binder. The most commonly used vehicle is cold-pressed linseed oil, however, it can be made with walnut oil, poppy seed oil, safflower oil or other less popular oils. 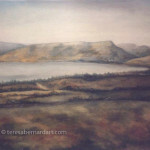 Linseed oil comes from the flax seed and gives oil paints a longer drying time. This allows the paint to be worked with for longer periods of time, sometimes even up to several months. 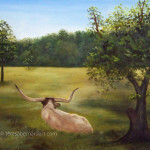 The advantage of a longer drying time means the artist can develop a painting by making changes and corrections at the artists leisure. 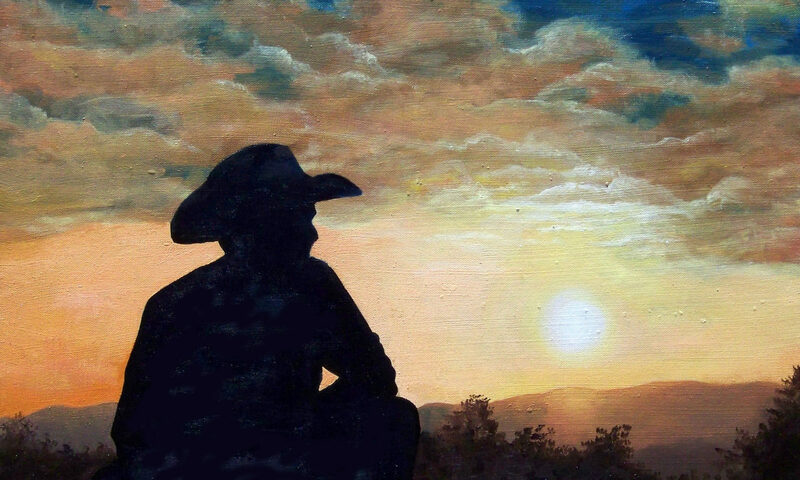 A disadvantage of longer drying times, is the painting might take months or years to completely dry depending upon how thick the paint was applied to canvas. This might be an issue if you have a customer anxiously waiting for the painting to dry so he/she can take possession it. The pigment is where paint gets its color. A paint color gets its name from the pigment that is used. We first got our pigments from the earth in the form of rocks or powder, but now it is also manufactured from synthetic materials. Some of the oldest pigments known to man are made from colored earth like Yellow Ochre, Sienna and Umber. 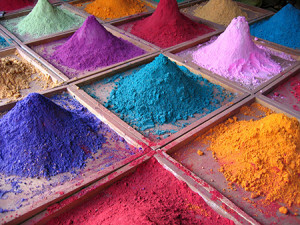 Other pigments are derived from mineral salts such as White Oxide. Natural pigments – A pigment derived from naturally occurring compounds, either inorganic, such as rocks, minerals and metals; or from organic ones, such as plants and animals. Examples include Mars Brown which comes from iron oxide or Ivory Black which comes from charred animal bones. Natural pigments have been around for centuries and were used by the Old Masters who would make their own paints just prior to starting a painting session. A lot of the natural pigments in use today are manufactured from inorganic substances. Synthetic pigments – An artificial pigment made by chemists from carbon based molecules derived from petroleum substances, acids and other chemical compounds. 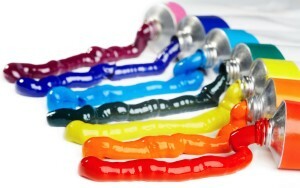 Most of the oil paints we use today are made from synthetic pigments, such as quinacridone, pthalocyanine and dioxazine. Fortunately these paints have maintained their natural pigment names for historical and cultural reasons. There is very little difference between the modern day natural and synthetic pigments in regards to their potency of color and ability to mix well with other oil paints. However an important factor to consider in any paint is its lightfastness. Lightfastness is a paints ability to resist fading when exposed to ultra violet light. This is important because it determines the length of time a pigment will retain its original color. In other words, it determines the life expectancy of the work of art. A pigment must have lightfastness and they must not break down chemically or physically if the work is going to last through the ages like the Old Master’s. To determine the lightfastness of your oil paints, look for the official American Society for Testing and Materials Standard (ASTM) rating information on the labels of each individual tube of paint. The ASTM is an independent organization that was established to create a worldwide standard for pigment permanence. The following pigment ratings were established in 1984. Obviously you would want your oil paints to have a lightfastness of a I or II. This article is continued in “What Every Oil Painter Needs to Know About Artist Oils, Part 2” where we’ll take closer look at the different grades of oil paint and what they mean. Bristle is the term used for the hairs that make up the brushhead of a brush used for painting. The brushhead is the part that holds and delivers paint to the surface of an artist’s canvas. Bristles are made from two types of hair, these are natural hair and synthetic hair. There are two main types of hair used in natural brushes, these are bristle and sable. 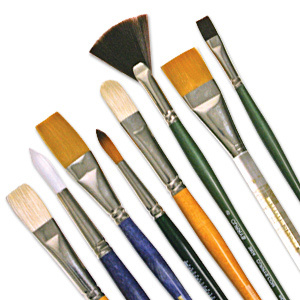 Because natural bristles are softer than synthetic bristles, professionals prefer them for oil paints. are made from the hairs on the back of a pig and are stiff and springy. 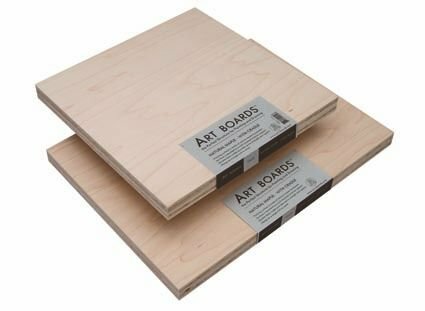 They have natural “split-ends” making them perfect for oil painting as they are durable enough to withstand use with heavy oil paint, textured canvas and harsh solvents like turpentine. They clean up nicely, and they make a strong mark on the canvas. Bristle brushes are best in sizes of a half inch wide or larger. 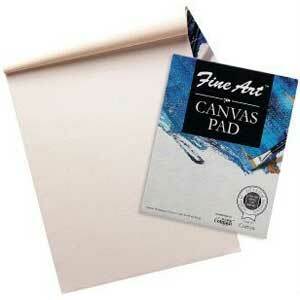 They are best when used in large areas of a canvas, to begin a painting, or for very large paintings. Entire paintings can be painted using only bristle brushes, however, if you want finer detail in smaller areas, you would want to switch to sable brushes. do not come from sables. They are actually made from any member of the weasel family with “red” hair. Sable brushes are softer and more delicate than bristle or synthetic brushes. They can also be quiet expensive and require more care. 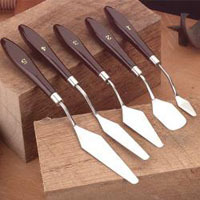 Sables are great for blending, glazing, and making soft, less-defined marks. They make great detail brushes. The best sizes for this brush are those one half inch in width or smaller. Artists painting with oils often prefer their long handles which allows them work at a greater distance from their painting. Some less common natural hairs used for painting brushes are badger, camel, goat, mongoose, ox, pony, and squirrel. Synthetic brushes are man-made either of nylon or “Taklon”, a polyester filament. Synthetic bristles offer more versatility than natural because they can be used with acrylic and oil paints. These brushes are a good economical alternative to natural bristle brushes, however, make sure they are made for oil paints. They are more resistant to damage from turpentine, insects or paints. Cleanup is easier since they don’t tend to trap paint in the individual hairs. The hairs last longer because they are less prone to break and are more durable on many different types of canvas surfaces. One disadvantage is the less expensive synthetic brushes tend to lose their shape quickly due to heavy paint on textured canvas. The word “mahl stick” comes to us from the Dutch word maalstok which means “painter’s stick”. 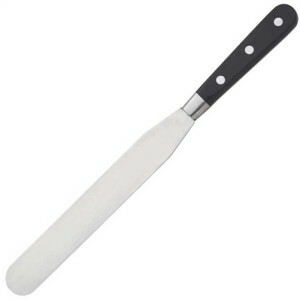 It’s a handy little tool that has been around for centuries used by artists. Many of the Old Masters regularly used them as they were putting paint to canvas on many of their masterpieces. We often see paintings from the 16th- through 19th-centuries depicting artists in their studios, at their easels, etc and the mahl stick is often there, included as part of the painter’s equipment. Artists use this painter’s stick to steady their hand when attempting to paint minute details on their canvas art. 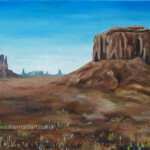 Most oil painting artists paint with their canvases resting upright on an easel and sometimes its hard to get your hand into just the right position without resting it on your canvas. This is a problem if the surface is delicate or the paint is wet. You can’t just plop your hand in the middle of your work. To do so, would mean smudging or smearing your artwork. That’s when a mahl stick comes in handy. 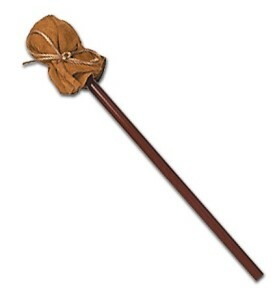 A mahl stick is simply a long round stick that is approximately three feet in length with a ball or knob on one end.  Usually the knob end has a ball or wad of cotton on it that is surrounded by soft leather or chamois. The chamois will keep it from slipping on the surface and can easily be removed for cleaning or replaced when it gets soiled. 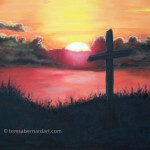 You use the painter’s stick by resting the ball-end on the edge of the canvas, easel or dry spot of the painting. Then hold the other end up with your non-painting hand and steady your hand holding the brush on the stick while you paint. If you’re right handed, you would hold the mahl stick with your left hand and if you are left handed, you’d hold it with your right. It should be light enough so your hand that holds the stick will not get tired. A mahl stick is something you can purchase online or from a local art supply store, or you can simply make one yourself. They can be made from any round piece of wood that you have on hand such as an old broom handle, half inch dowel or piece of bamboo. Whatever it is, it should be lightweight yet strong enough to resist bending under the weight of your hand. One end should be easy to grip. This can be achieved by wrapping it with some sports tape like the handle of a hockey stick or tennis racket. The other end of the painter’s stick needs to be bulky by adding a ball-shaped piece of wood or a rubber tip like what is used on the end of walking canes. 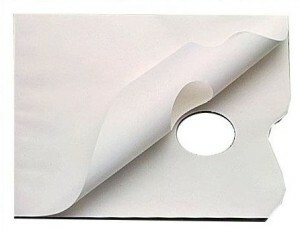 You would then wrap it with a bit of cloth to prevent it from slipping or scratching the canvas. It can be tied on by using a piece of string. I hope this article takes a little bit of the mystery out of mahl sticks and also provided a useful painting tip. 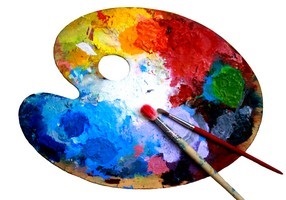 Perhaps one of the most iconic symbols of the fine artist is the artist’s painting palette. They are often taken for granted, however, the palette is one of the most important tools an artist uses. There is much to consider about the palette and this article covers some interesting points. (1) A thin board or slab (traditionally made of wood) on which an artist lays out and mixes colors. (2) The range of colors used by an artist for a particular picture. “Palette” is one of those words in the English language that actually has more than one meaning. It can either refer to the actual tool an artist uses to mix colors on or it can refer to a selection of colors used to make up a color scheme. For the purpose of this article, when palette is mentioned, I am talking about the surface an artist uses to mix paint on. 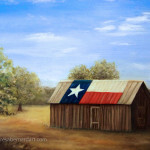 There are many types of palettes available on the market for oil painting artists. They are made of a variety of materials from wood to paper to plastic and they come in all kinds of shapes and sizes. It’s a matter of personal preference which type, shape and size you choose to use. 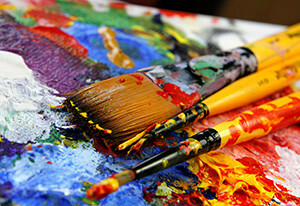 An oil painting palette is a stiff, level surface that an artist uses to arrange and mix paints on. 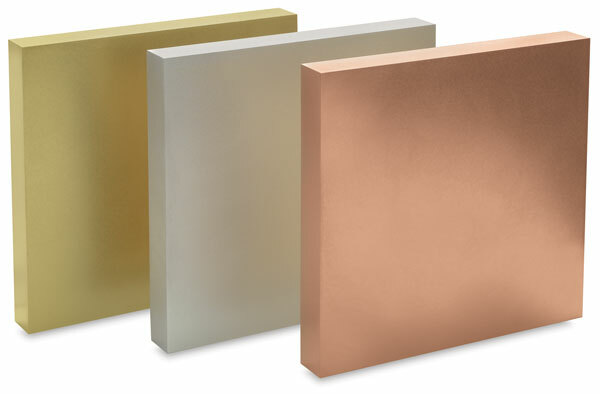 Any flat surface can be used for one, however, those made from hard, inert, and non-porous material make the best palettes. These would include wood, plastic or waxy paper. Palettes can also vary in size and shape. 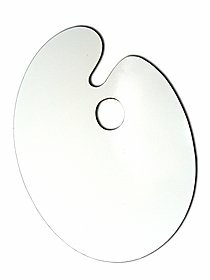 The most commonly known type of painter’s palette is made of a thin piece of rectangular or classic kidney shaped wood that is specifically designed to be held in the hand and rest on the arm between the elbow and thumb. 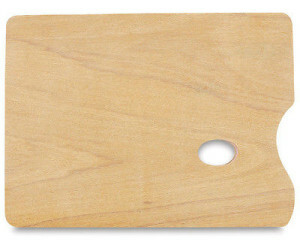 Wooden Artist Palette — This is the most traditional type of artist’s painting palette and was the type used by the Old Masters. Today’s manufactured wooden palettes are sealed with a varnish or lacquer. If you desire to do so you can make your own, however, it is very important that the palette is first properly seasoned before using it with oils. This can be done using plain shellac or linseed oil and rubbing it into the wood using a rag. If it is not properly seasoned, you will end up with a palette that will absorb all the oil from your mounds of paint and you will soon find yourself working with paint that seems much drier than when you first squeezed it from its tube. 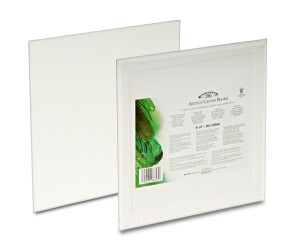 Plastic Palette — Plastic is another popular material for an artist’s painting palette. Plastic palettes are durable enough to withstand solvents and work well with oil paint. Much like wood, they can be scraped clean but are a bit more adaptable to soap and water than a wooden palette. Usually these are made of a non-staining, white plastic. 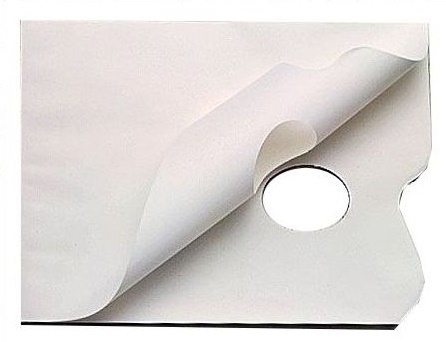 Disposable Artist Palette — These are pads of waxy paper that come with or without a thumb-hole. The top sheet is torn off and used for a painting session. When the session is over, the sheet is disposed of. This makes for a quick and easy cleanup. 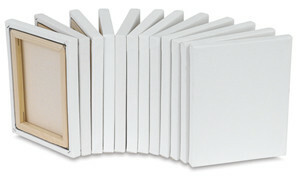 Some artists find this type of palette convenient particularly for the classroom or “plein air” painting. Artist’s oil painting palettes come in a rectangular or classic kidney-shape. The kidney-shaped variety has a thumb-hole at one end and is made to easily rest in the hand and against the forearm. Paint colors can be arranged around the edge of the kidney shaped palette and are easy to access. On the other hand, rectangular palettes appeal to other artists because they allow paint to be arranged in neat rows. Rectangular shaped palettes also fit well inside art boxes and field easels when taken out on location. Some palettes are large, while others are smaller. Many of the Old Masters preferred to use a small palette. This is because they worked their paintings in stages and fewer colors were used for each painting session. A smaller palette meant they had more control over their paint. Some of the larger palettes used by artists today are adapted to the modern method of having every color in your paint box on your palette at one time. That can be a lot of colors! If you have that many colors to squeeze out of their tubes, then you need a large palette to hold them all and to give you ample room for mixing. Whether you use a rectangular or kidney shaped palette, a large or small one, it is a matter of personal choice as to which you choose to use. 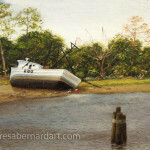 This article is continued in Artist’s Oil Painting Palette, Part 2. In part 2 you will learn about how to set up your palette, plus other useful information. A brush is an artist’s tool of the trade. In fact it is the most important tool the artist uses, therefor, it is good to know the various parts of your paintbrush. The anatomy of a paintbrush consists of three major parts. These are the: bristles, ferrule, and the handle. Other parts of the are brush’s: toe, belly, heel, and crimp. These are all explained below in this article. Bristles are formed into different shapes which dictate the type of brush it is; bright, fan, filbert, flat, and round, for example. 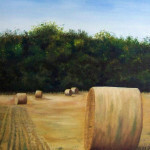 (See “Types of Art Brushes for Oil Painting” for more information about this topic.) The quality of the bristles determines the cost of the brush. The very tip of the bristles is called the brush’s toe, while the heel is where the bristles go into the ferrule at the tip of the handle. The belly is the fattest part of the bristle head. The ferrule of a brush is the metal band that connects the bristles to the handle and the crimp is the part of the ferrule that secures it to the handle. Ferrules can be made from tin, aluminum, brass or copper alloys that are nickel or chrome plated. Better quality brushes have a brass or copper alloy ferrule. These types have the best adhesion to the handle and a double or triple crimp. This is important because if the ferrule does not fit properly, the bristles will fall out or the ferrule could come off the handle. Handles can be made of wood, acrylic, or bone. Most are made of hardwoods like beech. They can be either short or long, however, lengths do differ from manufacture to manufacture. Short handles fit into the palm allowing different paint application and movement. 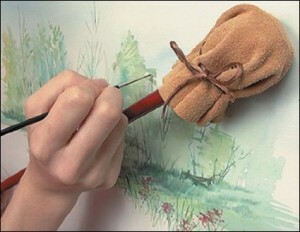 Oil painting brushes are made with longer handles which provides for better balance. Longer handle brushes are the ones used by most oil painters. The size of the brush is indicated by a number printed on the handle, usually starting from 000 (called “triple ought” and is the smallest size), then 0, 1, 2, up to #12 or larger.